The company, as a part of its ambitious long-term plan, plans to source 50% of its menu from plants by 2020. PR agency Bastion Effect has reportedly forged a partnership with food chain Grill’d, in a bid to help the Australian company launch its all-new plant-based burger range. As per reports, Grill’d has been hitting the headlines for introducing a one-day campaign, during the course of which the firm will be going completely meat-free for the day. As per sources familiar with the matter, the reason for Grill’d to go meat-free has been attributed to the excessive meat consumption across Australia. In an effort to reduce the same, the company will now launch a range of plant-based burger patties, that have been sourced from Beyond Meat. Reportedly the latter is renowned to make plant-based products that resemble the meat counterpart in terms of taste, however, comprise ingredients sources only from plants. It has been speculated the launch of this meat-free burger is only the beginning for Grill’d. The company, as a part of its ambitious long-term plan, plans to source 50% of its menu from plants, after entering its 15th year of business operations – somewhere around 2020. 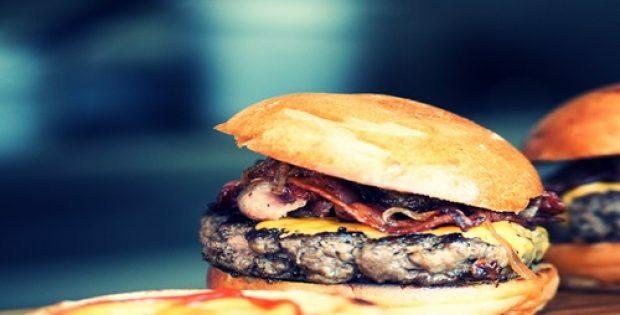 According to Simon Crowe, Founder & Managing Director, Grill’d, the company genuinely believes that plant-based alternatives are likely to comprise a huge proportion of the future popularity and sales of burgers, especially with the launch of this new line of meatless Beyond Burgers. Elaborating that this line is merely a part of a broader commitment, Crowe claims that the firm’s belief in the future popularity of meat-free burgers is what has prompted it to introduce a meatless Monday, encouraging its customers to try out the new plant menu for a day. For the uninitiated, Grill’d’s meat-free initiative also aligns with its recent launch of four plant-based dishes in its menu. Richard Chapman, CEO, Bastion Effect, was quoted stating that Grill’d is an apt instance of an entrepreneurial success, as it continues to innovate via valuable customer feedback. Going meat-free for a day across all its stores nationwide is a huge step for the company, as it reiterates its commitment toward evolving its menu alongside the changing preferences of customers, Chapman added.